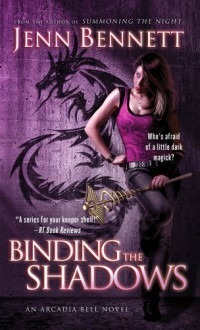 In the third book in this beloved and "riveting" (Romantic Times) urban fantasy series, demon-friendly tiki bar owner Arcadia Bell discovers more about her own evolving, and possibly destructive, magical abilities when her bar is the target of a demonic crime wave.Renegade mage and bartender Arcadia Bell has had a rough year, but now the door to her already unstable world is unhinging. When a citywide crime wave erupts, Cady's demon-friendly tiki bar is robbed by Earthbounds wielding surreal demonic abilities that just flat-out shouldn't exist. With the help of her devilishly delicious boyfriend, Lon Butler, Cady sets out to find the people who wronged her--but her targets aren't the only ones experiencing unnatural metamorphoses. Can Cady track down the monsters responsible before the monster inside her destroys everything--and everyone--she loves? If she survives this adventure, one thing is certain: it's last call for life as she knows it.